As we mentioned earlier this week, EventEspresso.com was the target of a DDOS attack. We want to reaffirm your data was never compromised nor vulnerable. Our user data has and been and will continue to be secure, and we continue to take action to keep it protected. Today we have added measures to prevent additional DDOS attacks in the future and implemented rate-limiting on the api endpoints for our plugin update engine. While doing this, we also noticed an inefficient query that compounded the server problems and we fixed that too. To make a long story short, automatic updates have been re-enabled. You should begin receiving update notifications for the Event Espresso suite of plugins as updates become available. 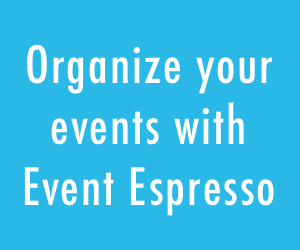 Hint: Event Espresso 4.4.4 was released earlier today so watch for that update notification. You have multiple Event Espresso plugins installed and get update notifications for some that have updates but not others. Please contact us with as much detail you can provide as possible and we’ll look into things and see if there’s a problem with some preventative measures we put in place on our server. Again, thanks for the patience during this experience! If you have any questions or comments, please contact us or comment below. Despite my having a valid update key, The plugin will NOT update is is saying that “an update package is not available”. I have reset your license key, but please be sure that your license key field does not include any spaces before the key starts, and that you are using the right type of key (a _Free key for Decaf, and a regular key for premium).